Happy Birthday White (6 years)! Australian offspring of Big Daddy Cool is not necessary to present because czech society knows him well. 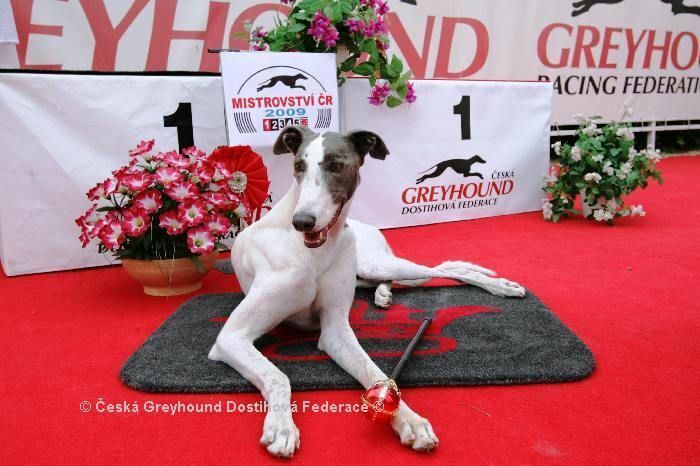 White Elbony (homely named Whiteek) is well known as a champion of Czech greyhound racing federation wit a Golden greyhound, Golden Greyhound Grandmaster, Gransmaster Double. 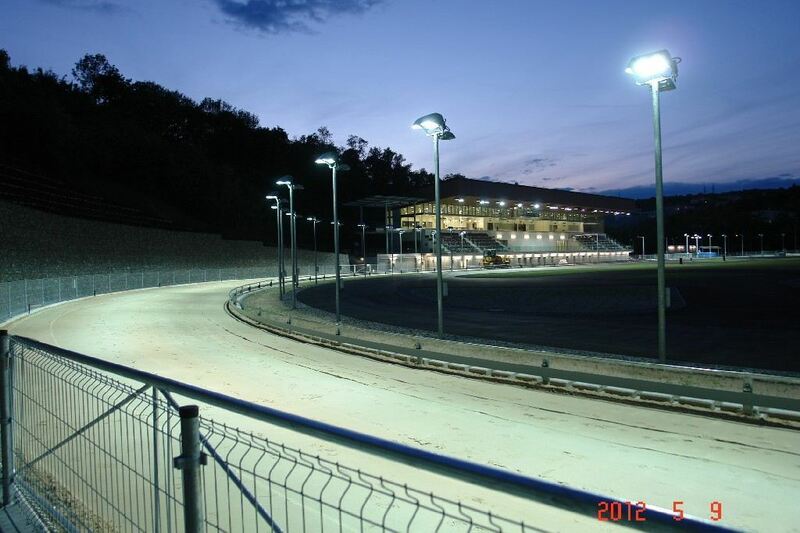 Greyhound racing champion White Elbony on Greyhound Race Track Prague in Greyhound Park Motol he proved that he has got briliant condition for racing on 6.10.2012. He can defeat his competitors even in age of 6 years and he defeated his much younger cometitors. 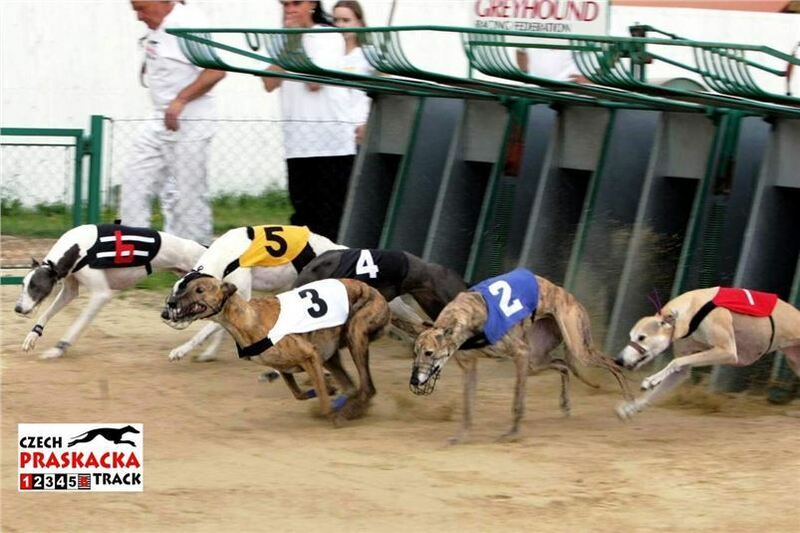 In the age of 6 years are most of greyhounds after their best results and they race only in class veteran! According to a scientific studies of athletes from Australian Institut of Sport (AIS) there is connection between genes of parents and dispozitions of athlete. Sports development and physical capabilities are dependent on genetic equipment of sportsman. Genes influences sport results of a athlete. This genes are responsible for creation of muscle proteins that are responsible for mucle contractions of sportsman muscles And what about Whiteek? The first variant of the gene is responsible for ensuring that the contraction of athletes muscle fibers are slower but hardier - then individuals have a natural tendency to persevere. In the second scenario, the result is associated with a natural propensity for speed sports. In the third variant is a combination of them and that's perfect for speed and endurance sports. 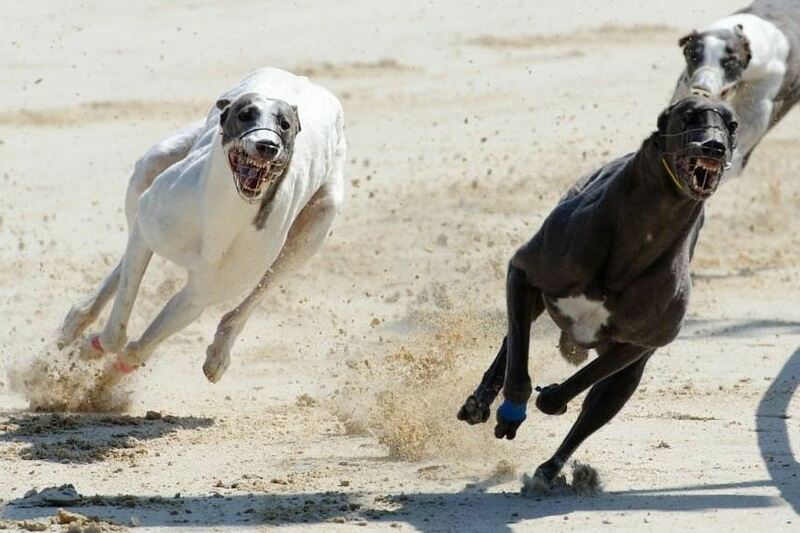 Racing greyhound Whiteek is obviously blessed with a rare genetic dispositions (third option). In addition, he has a great physique which is shame to cover when we are decorating winners. "It is alsmost shame to cover Whiteek with a racing blanket also know as a racing jacket during decorating of winners." 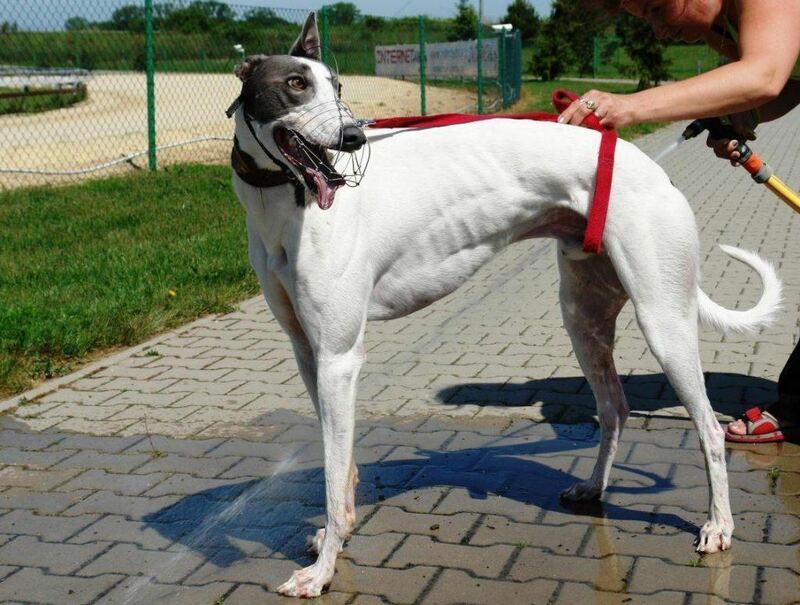 Great condition of greyhound White Elbony even if he is 6 years old! Owner of greyhound White Elbony takes care of mainly about his health and continously about his good physical condition. 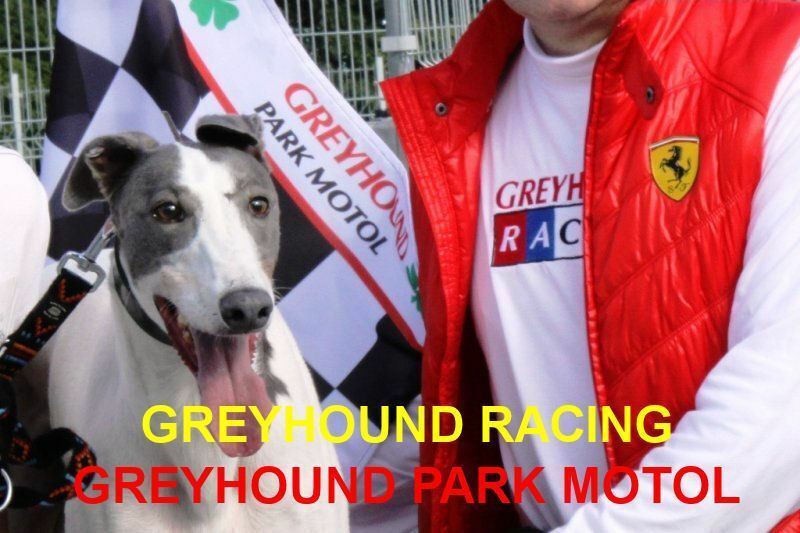 In addition to great starts on great tracks he follows the basic rule of the organization belonging to the World Greyhound Racing Federation, ie just one start (distance and sprint classic) of greyhound in 24h. Whiteek belongs to the veteran class when we look at the age but he still reminds puppy to us. Whiteek is well know for his smile. 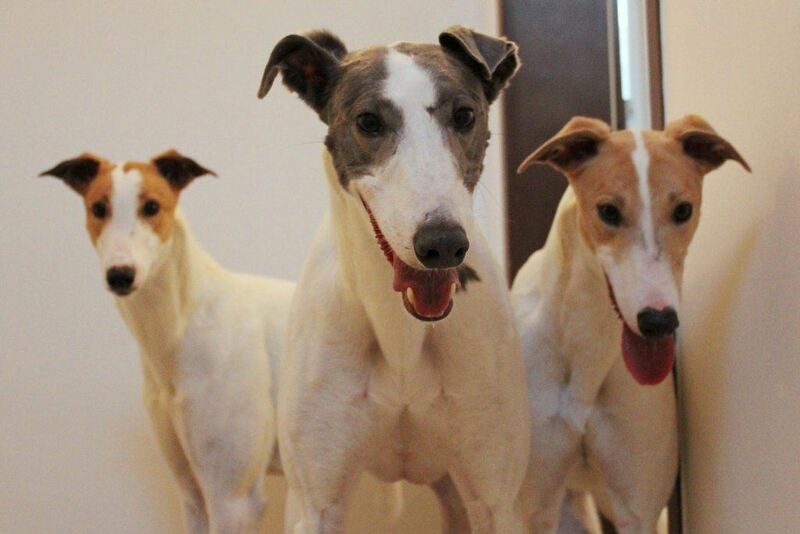 Master of Whiteek belongs to them who have taken care of all greyhounds since 2004. 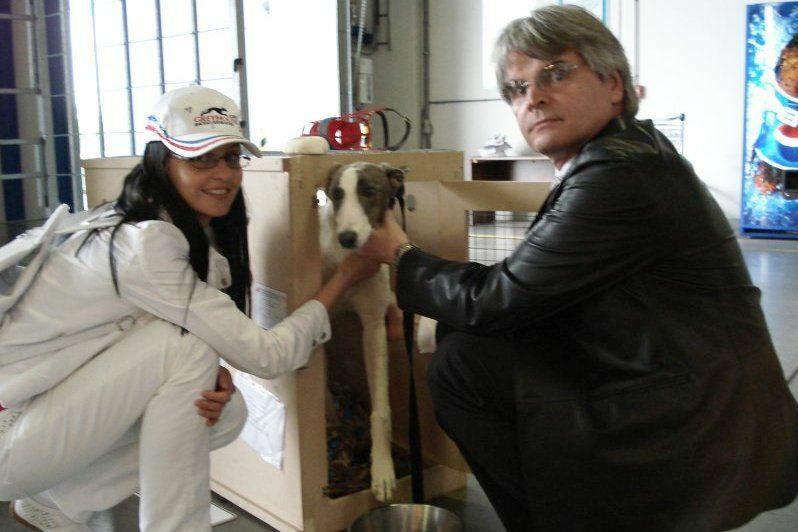 He have taken care of even about greyhounds of another owners on race track praskačka and he takes care of all greyhounds with similar care on Greyhound Park Motol in nowadays. His master don't belongs to members of club that cares about only his greyhounds and the rest of the work leave it to the care of someone else. 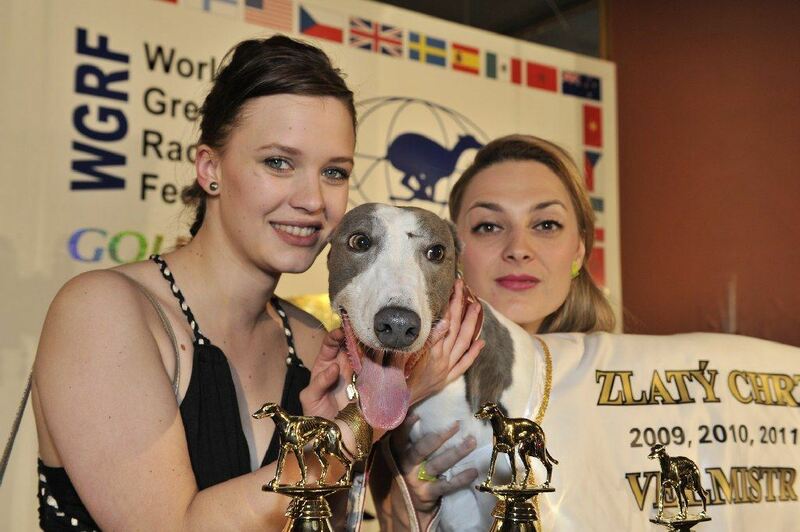 GREYHOUND WHITE ELBONY - MASTER FOR 4TH TIMES!